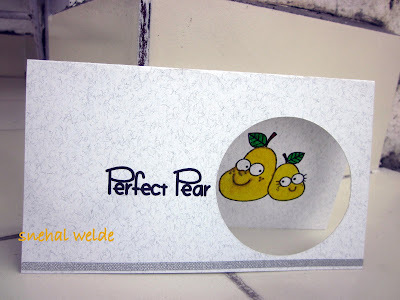 Snehal created a simple card using Perfect Pear. This is great ....love the aperture. It works really well with the image. Brilliant CAS card, love it Snehal! You can see my Perfect Pear card HERE! Love that image looking for it now .. Simply a lovely card .